‘Tis the season of giving. Whether that's to others or yourself, there’s no judgment. With deals and promotions flying around like candy it becomes hard to focus on who deserves what. Let us help simplify the process with the Ultimate Minneapolis Gift Guide. Now that’s something to raise a glass to. 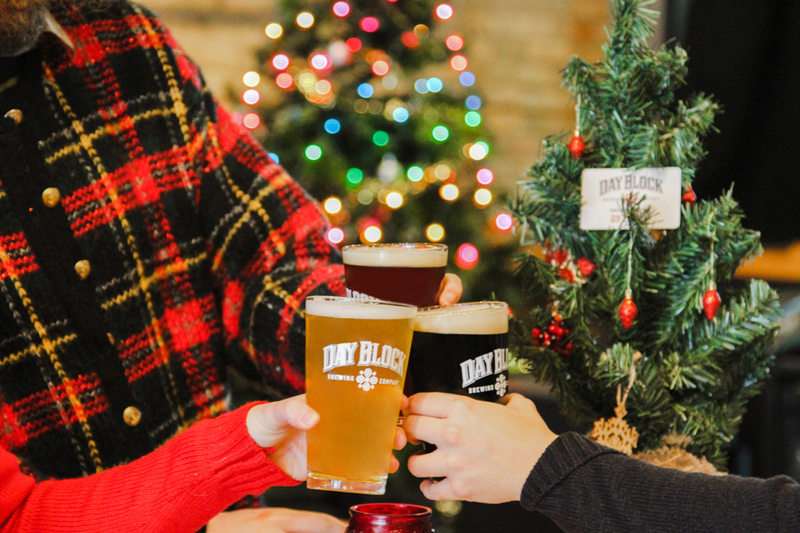 Here are a few gift ideas that will leave your friends & family HOPPY. Crowlers are sold daily and come in almost all brews we have on tap. Stuff one in a stocking for your works Secret Santa or grab a few for that friend who loves to take pictures of beer for social media. Either way, these crowlers will be sure to bring a smile to their face. Whether you love to host or you just need more, we've got you covered. 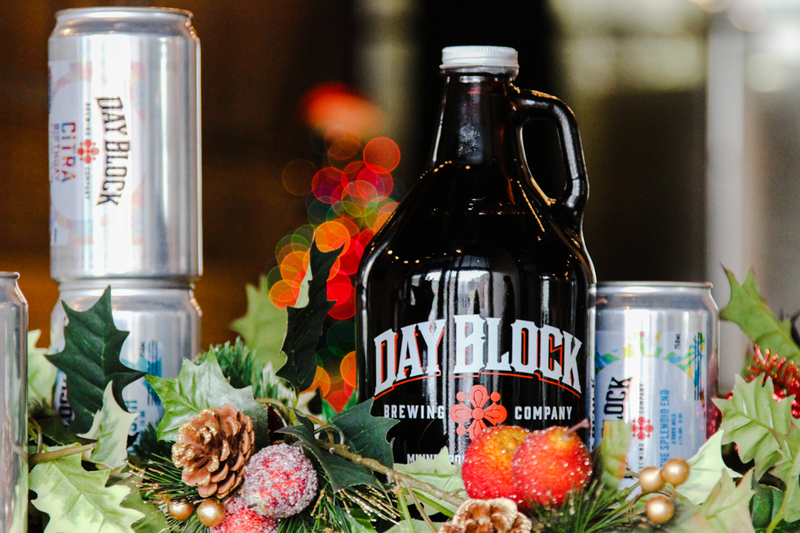 There are a few ways to get your hands on Day Block growlers, at a bargain. Stop by any Tuesday to receive $3 off any growler purchase or visit the Running Tap website to get a growler delivered right to your door. Stop by during Happy Hour 2-6pm Monday – Friday to get your hands on daily happy hour deals.You can even get a t-shirt and a beer for $20. That’s a t-shirt for your friend and a beer for you – we shirt you not! We’re all about benefiting the shopper here and giving the gift of good taste. 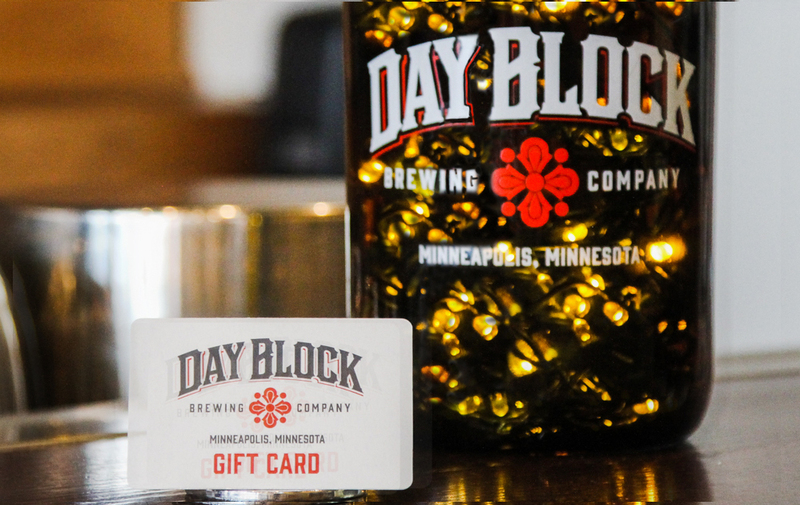 When you buy $100 in Day Block gift cards you’ll receive a certificate to redeem a growler for a penny – for yourself. Sounds like a win-win.